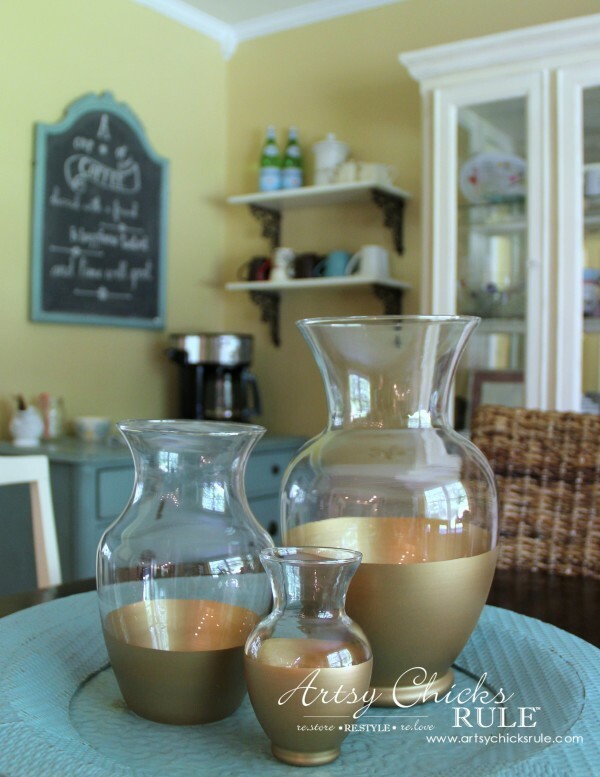 Find something you love in a store, like these DIY gold dipped jars, but didn’t love the price? ;) Create your own, even cheaper! 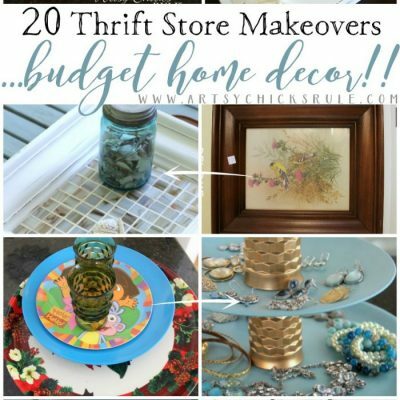 I have a super thrifty DIY for y’all today. Really, this one is a no brainer! If you follow along on Instagram, you might remember these. 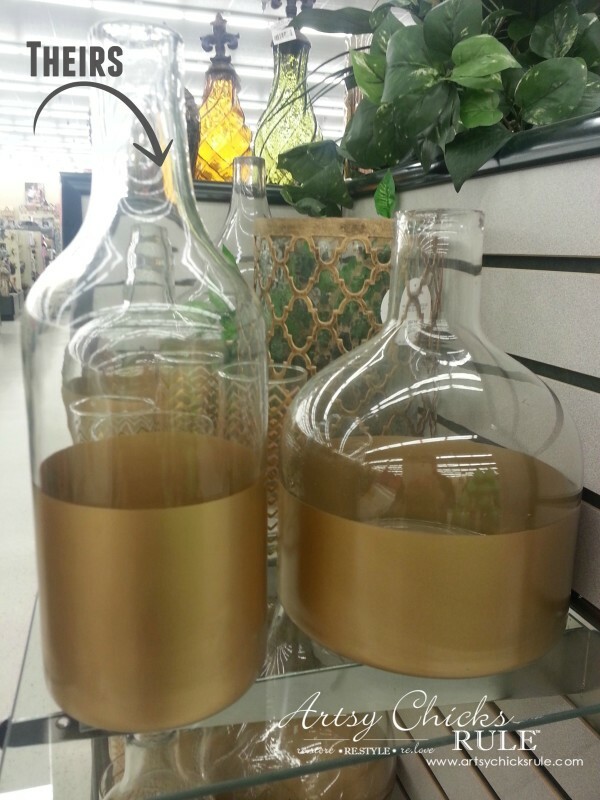 I was over at Hobby Lobby awhile back and saw these gold dipped jars…..
And even there they were around $30 each. Ouch. They do have coupons and sales quite often but even with a 50% off sale, you’d still spend that for the two. I spent $3.50…and also got this gold spray paint. 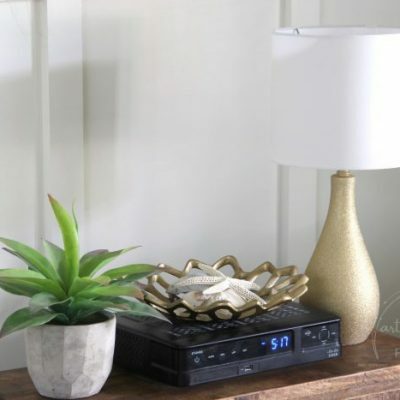 It’s the same paint I used on this project…..
It’s a beautiful shade of gold. I just love it! All three of them at the same one…..
As you can see, they were on sale, $3.42 to be exact….not including tax. I began by taping off where I wanted the “line”. So…. I decided to fill with water so I’d have a fill line to follow….. I wanted the gold to vary on each so filled them each at different levels. This worked PERFECTLY, by the way! Then I applied a plastic bag to the above area so paint wouldn’t get where I didn’t want it. I took them outside and sprayed them. Perfectly painted gold dipped jars. A few coats of paint and done. …especially considering the ease of this project. Aren’t they pretty and elegant looking? 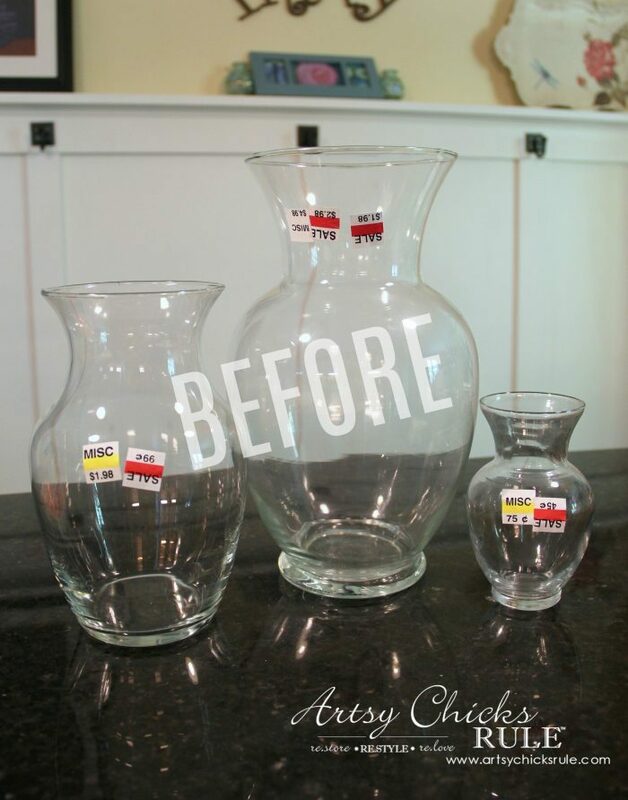 Amazing savings and such a simple DIY, truly!!! 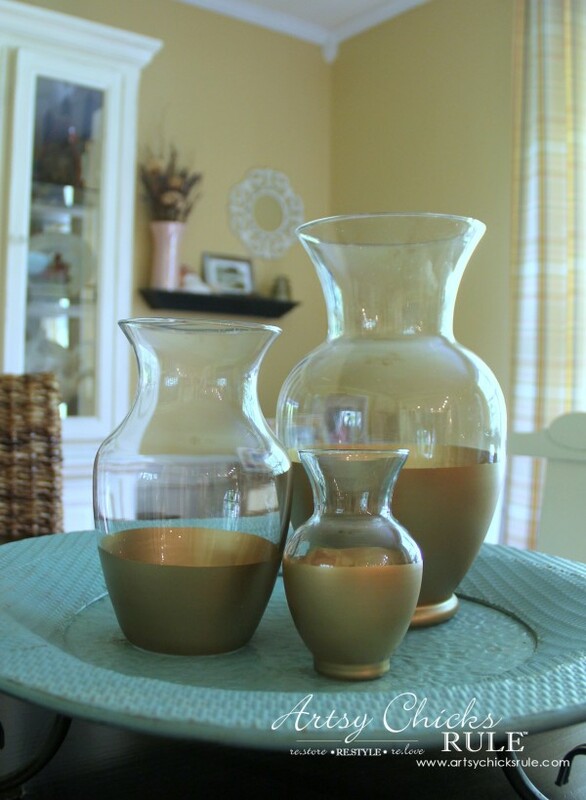 Edited to add, some years later, I still display and use these vases for flowers. And remember my post last week about the lamp I painted gold?? Here’s a great shot to show you what I mean about how that one is a more subtle shade of gold…. 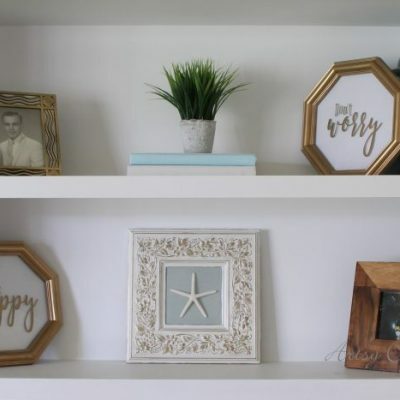 Now….do you need some pretty (and inexpensive) new home decor? 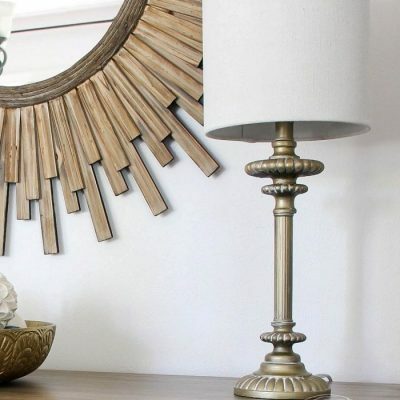 If gold is not your thing, use silver…or bronze, any color will work. Makes sense to DIY this one, for sure. Hope you’ll give it a go! They turned out great! 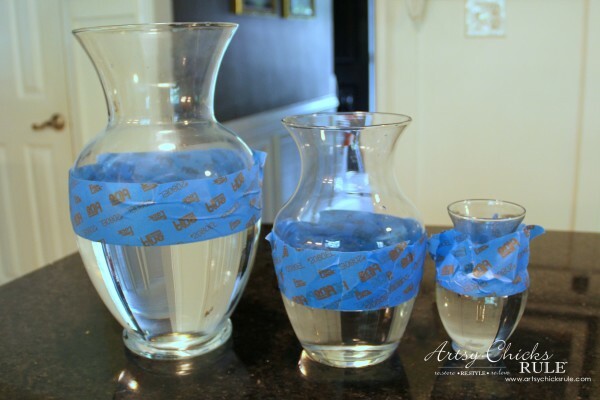 I love the tip of filling the vases with water. It is a great temporary visualization, so you can know what you are going to get in the end. Thank you Cari! :) Yes, that really worked out very well! I do love shopping them! Nancy you smarty pants! I recently spray painted some round vessels and had a heck of a time lining up the painters tape. 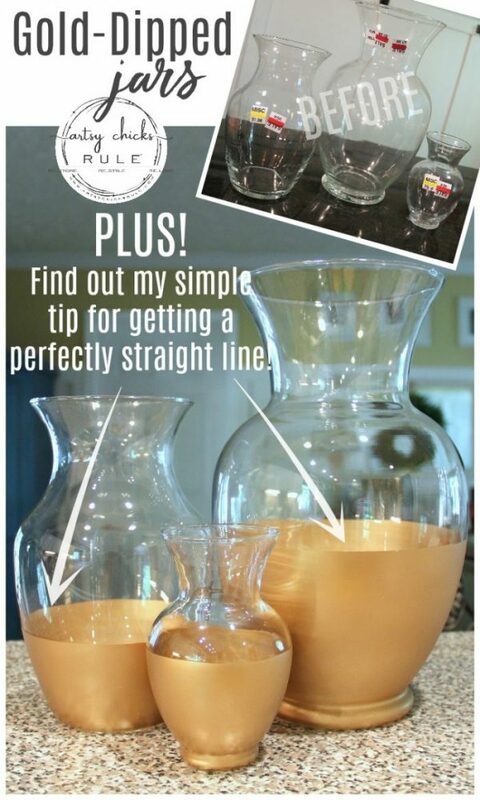 I never would have thought to fill the darn jars up with water to get my line – brilliant! 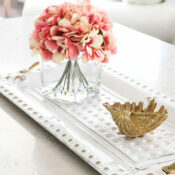 Love your gorgeous table centerpieces for a wedding/anniversary. Pinning this for inspiration for my daughter’s wedding in 2016. It just came to me as I was trying (and failing!) to tape a straight line around the jars. They really are simple but don’t look it! Oh, please! 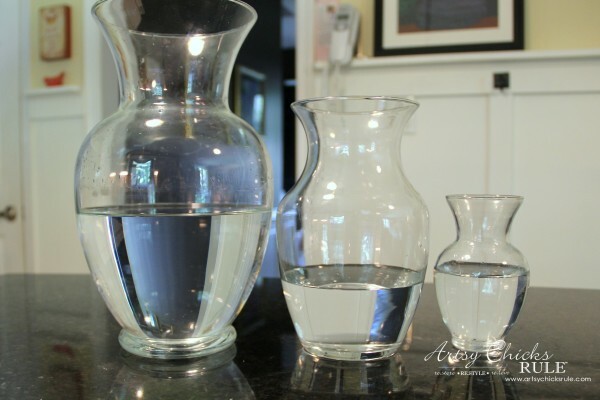 The water trick – INGENIOUS! I’m doing this for sure. Thanks! Love this idea. 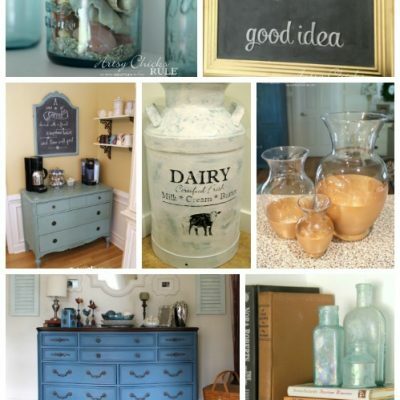 Planning on doing this before I move into college to have some dorm decorations, and storage. Thank you so much for the inspiration and for sharing!! Cant wait for the next post. Brilliant!!!!!! 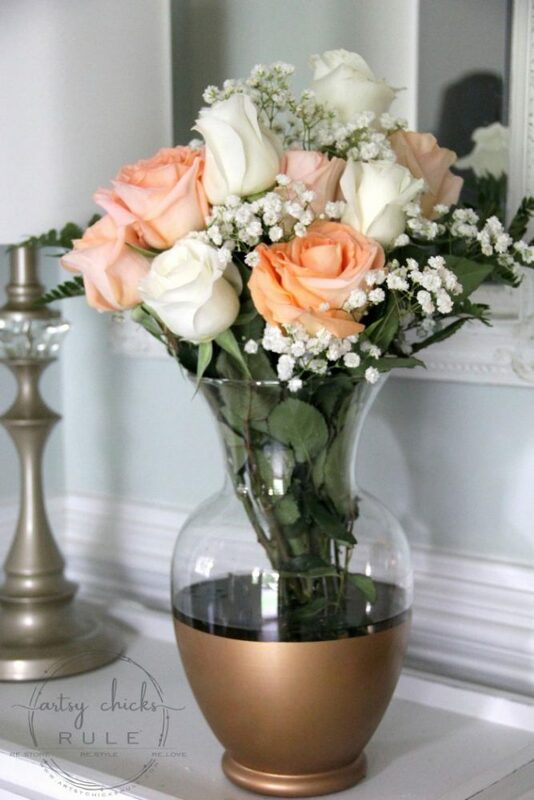 Picking up spray paint today….can’t wait to try this…..and I have tons of flower vases…..silver would be beautiful also!!!! Have fun!!! And yes, I agree, silver would be beautiful too! Such a great idea! 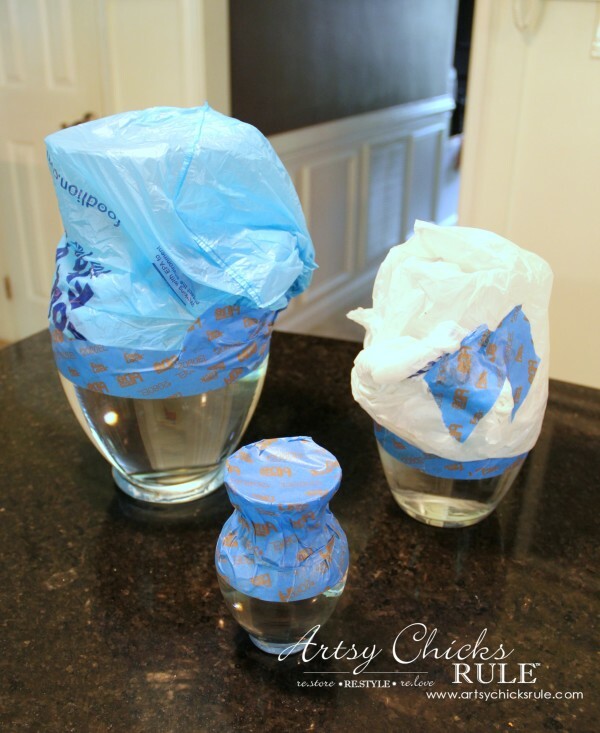 I will have to try this soon, I actually have a few of those glass jars sitting around and I’ve been looking for ways to spruce them up! I just received this post. This is just too damn easy and such fun!! I had one of those ‘why didn’t I think of this’ moments. I am going straight away, not kidding, and do this! So very cool! Thank you. Hello! I’m wondering if this paint will chip or scratch off? I’m wanting to make some to give and sell and don’t want people to have a bad product. 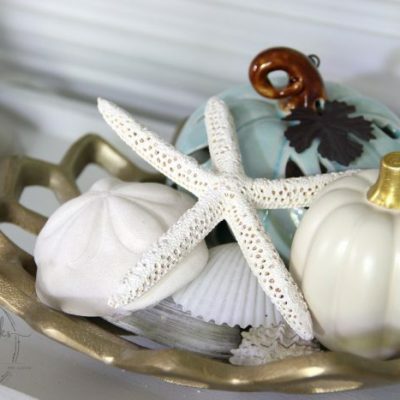 I was wondering what to do about a center piece for our tables. Perfect project for me to do for our 50th anniversary that will coming up next June. I do think that I will spray them with a clear sealer before using. June 7th for our anniversary. Congratulations on your up-coming 27th. 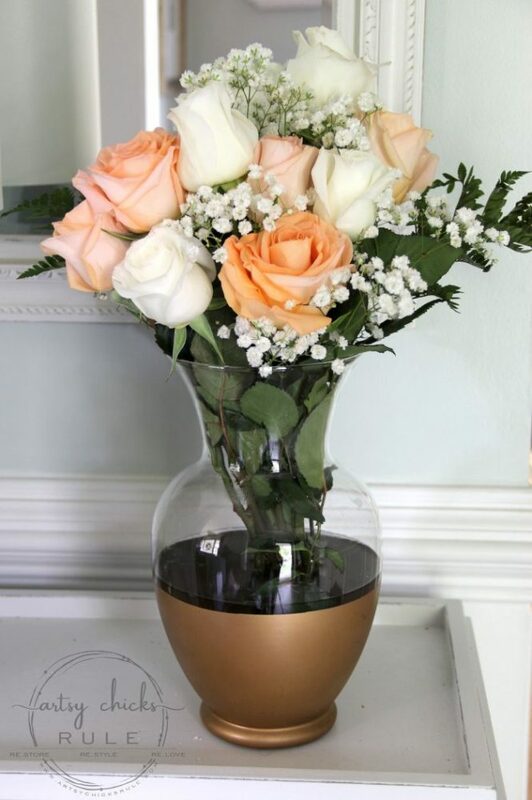 I do plan on using the gold dip vases by having white roses in the vases and displaying them on the 9ft. long picnic tables. 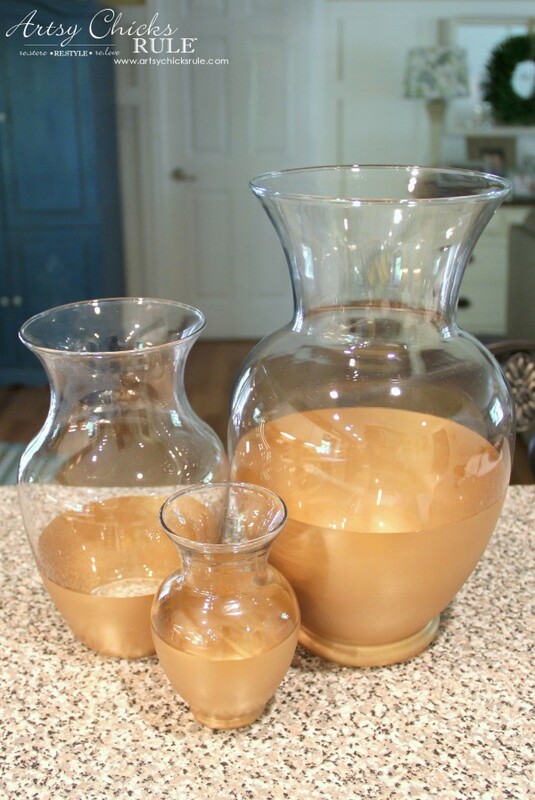 Now, all I need to do is find me some/ several vases that are similar. I have also spray painted some wine bottles in gold for added decoration. 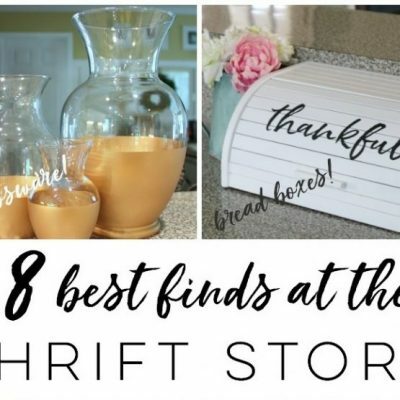 Me thinks I will be doing some thrift shopping this weekend. I absolutely love this idea! I’m definitely giving this a try! 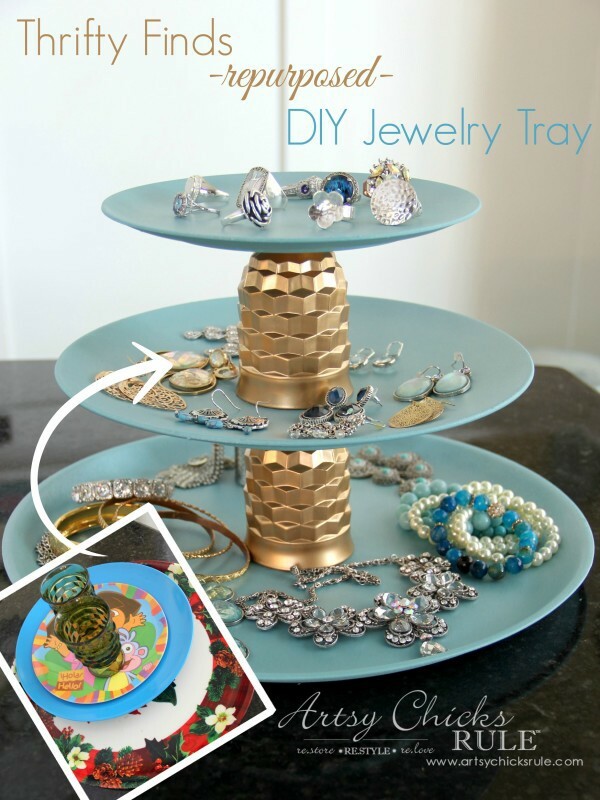 Thanks for always sharing such awesome inexpensive and practical ideas! !